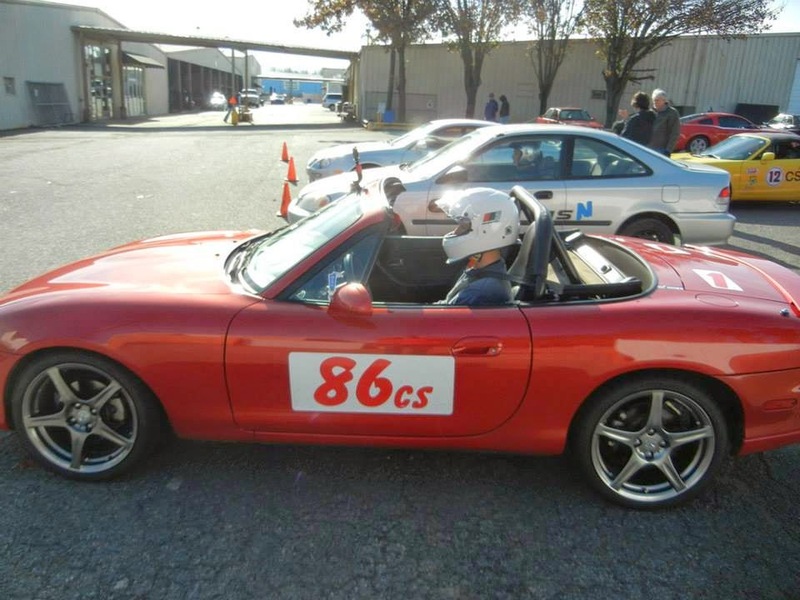 Nixon Motor Sports: What's an Average Autocross Day Like? Before getting started, Happy Birthday to Andre Goncalves yesterday on April 17! In our NMS vast experience of exactly one year of autocrossing (it's a joke, OK? 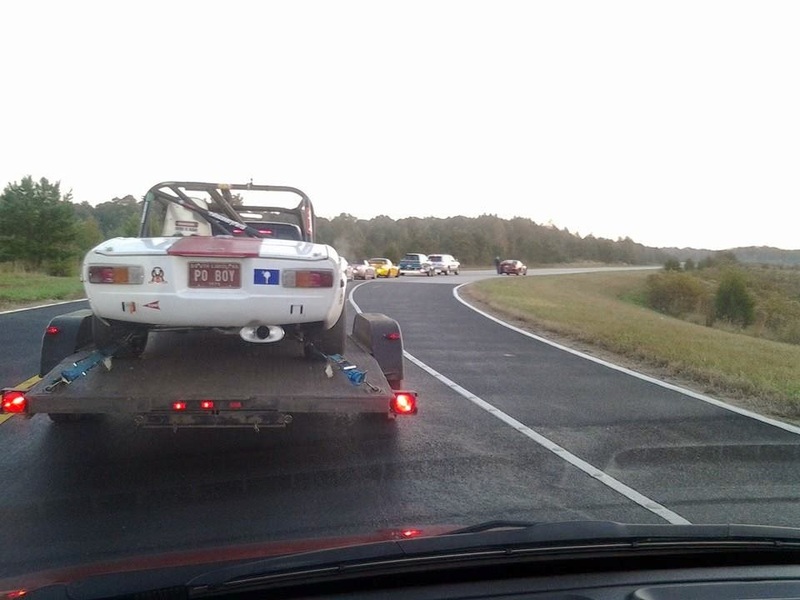 ), we've had a lot of fun driving with our South Carolina Region of the SCCA. 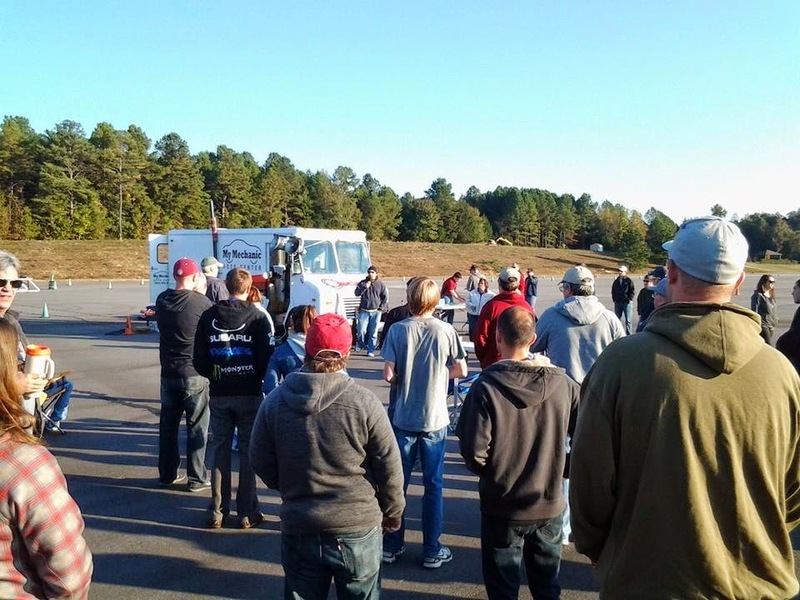 A typical autocross day really is a full day, so let's just take a look at what all is involved. We've posted about the car prep, driver training, so assuming the car is in good shape and work doesn't get in the way of the next event on April 27th, here's what that day should look like. Like most events in our region, the location is over an hour away, so it's going to be up early and hit the road around 6:30 AM or so. Brian and I have a top secret rendezvous spot on I-77, so from there we'll head north up to the Michelin Proving Grounds for this one. After an hour on I-26, which we could claim is to warm up the car and tires, but that would be a bit of a stretch, we arrive and make our first stop. 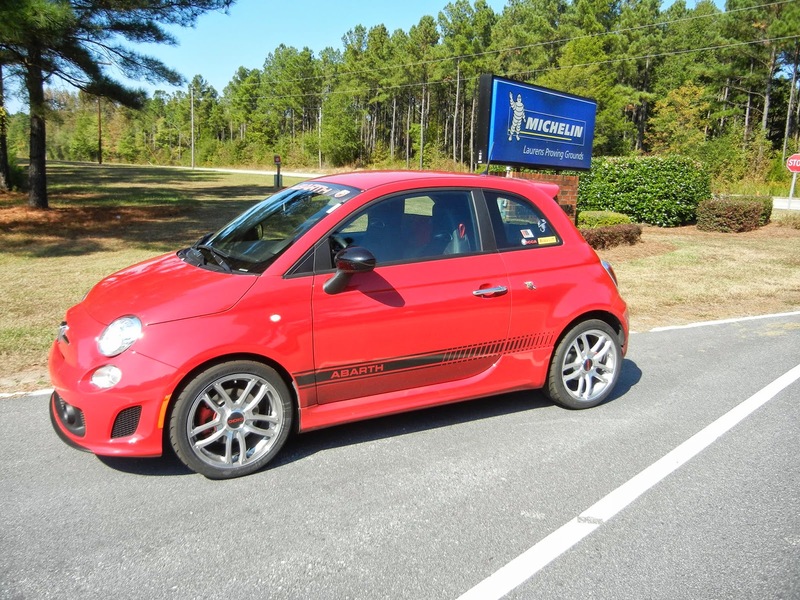 A friendly member of the SCCA will be standing by with one of the signs of power, a CLIPBOARD, and ask us to sign the waiver form and get an arm band. The arm band gives drivers magical powers, namely the magic power to participate because it proves you signed the waiver form! From there we drive around to the parking lot, errrr, I mean the paddock, and prep the cars. Unload everything that isn't needed, put the magnetic numbers on my car, set up a chair and our spiffy awning for any down time to sit out of the sun or rain, check the wheels for torque and air pressure, and see who else is around too. 7:30-8:30 AM Registration: We walk over to registration (easily identified by being the big SCR Van, see how easy this is? ), and confirm that we pre-registered on line. I've already gotten a bar-code sticker on my helmet for this year, so since this is Brian's first points event this year he gets a cool sticker for his helmet also. Again, the sticker contains magic powers that enable the starter to scan your code before each time you drive, so the electronic timers credit the right driver with your blazing fast times! One really good thing about the bar code, is that in accordance with the Laws of Speed, every decal on your car or body makes you faster! Plus it's easier than having a chip inserted into your brain! 7:30-8:30 AM Tech Inspection: All righty then, now to make sure the car is set up and safe. Like the driver bar code, I've already got a tech inspection sticker on my car good for the year, so Brian will drive over to the Tech area and other friendly SCCA members will make sure he is good to go. Then he will be issued another sticker for the windshield (obviously also making the Miata faster, refer to the Laws of Speed). By this time we've probably run into other friends we know, and maybe started drinking some water or more coffee. At least coffee has water in it, so it's got to be good for you. Even if you are in good physical shape, or if it's not really hot outside, just by being outside all day can dehydrate you, so drinking water is a good idea. 7:30-9:00 AM Course Open for Walking: Now we're getting to the fun stuff, and hopefully the friendly course-setter-uppers have finished laying out the cones to define the course. Here at Michelin this is a BIG job since it's a huge paved lot. Walking the course is how you start learning both where to drive and thinking about HOW to drive it. Theoretically there is one ideal driving line that will enable you to get around the course the fastest, and I think this is about as important as just raw driving ability. Figuring where to go really fast, as well as where and how much to brake is what gets you into the details after you see the layout of the course. I'm sure the NASCAR, INDY, and F1 drivers have to think about this a bit also, but they won't be doing it only 4-6 times in a competition, so we really want to get it right without the luxury of repeating the course say 60-200 times in a race! After walking the course once, we'll walk it again as much as we can. At the last event I blew my first two runs by not having the course in my head, so I don't want to do that again! 8:30/8:45/9:00AM Novice Course Walks: For the first timers or anyone else that wants to hear someone else's take on the course and how to drive it, our region offers these Novice Walks, where an experienced driver will walk the course and point out the basics. 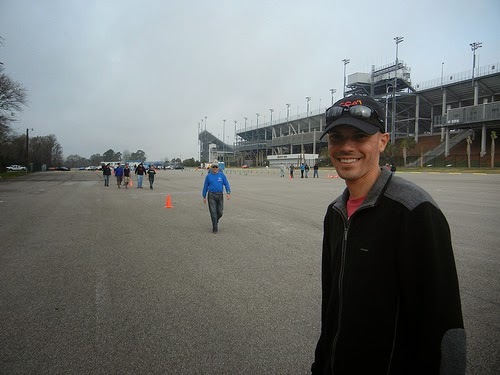 This is one thing that really impresses me is that besides being so much fun, autocross is all about helping others have fun too. 9:15 AM Drivers’ Meeting: We've been here for a couple hours already and now we're getting into more good stuff. As you can imagine, any event with 50-200 people driving cars near the limit (at low speed in 2nd gear) needs a bit of coordination and some safety rules. That's what the Driver Meeting is all about, just to make sure everyone understands what is going to happen the rest of the day. Also this is where we will find out how the field of drivers will be split into run groups. As I've mentioned, friendly people have been working hard all along to register, inspect, set-up, etc, and for those of us that haven't worked yet, we'll find out what group we drive with, and then what other group we will work for in support. When you think about it, it's an amazing system that works well thanks to the region leadership that makes it all a smooth operation. For this example, let's just simplify it and say there are three run groups for the rest of the day, and we'll be driving in Group 1, then working Group 3. 10:00 AM First Car Off: This is run group 1, and so it's our turn to get in the car, put on the helmet, fire up the engine, and then line up in the Grid area. As we're waiting there, friendly workers are doing the starters job, watching the course for any cones that get knocked down, running the timing, and keeping the grid line moving . Maybe we'll get 5 runs, so all the cars in our run group take a turn on their first run, return to grid, and then repeat for a total of 5 times. The run group will likely take an hour and a half, so in between runs you have time to get out of the car, chat with the other guys, or in our case find out how much faster Brian is going than me! Some folks like to shut the car off in between runs, others keep it running and prop up the hood to help cool the engine compartment. That's what I usually do, and if you ever take a look under the hood of the Fiat you'll see there is not a lot of space in there and it gets pretty hot! 11:30AM Run Group 2: Like I said, for this example we drove in Group 1, work in Group 3, so during this time we will likely eat some lunch we brought with us, and maybe go sit and watch this group drive. Watching others is another good way to learn what the fast drivers do, and maybe see what mistakes we made. Overall, I like NOT being in Run Group 1 just for that reason, so that I can get some tips from the first group to help me decide how to attack the course. 1:00PM Run Group 3: OK, time to work. We're probably out on the course working at one of the stations to pick up cones that get knocked down, and then one corner captain has a radio to call in to the scorers what car just knocked down how many cones. 3:00-4:00PM Fun Runs (time permitting): As stated, if the run groups finish early enough, every driver can go out and do some more driving unofficially. If the run groups take more time, then the event ends when the final group finishes. After that, there is one last meeting for everyone to announce the winners, and then for everyone to help round up all the cones and call it a day. From there it's time to drive home and call it a day and start looking forward to the next event in May!